Float, climb or ride: there is an adventure suited to every ability and thrill threshold for visitors to southern Colorado in 2011. The 26 members of Pikes Peak Country Attractions offer a week's worth of vacation adventures and memories to last a lifetime, with pricing and value to make them all achievable. New attractions, improvements and amenities highlight the spring and summer offerings for the season ahead. Pikes Peak Country Attractions Association has 26 entertaining, educational and interesting man-made, historic and natural attractions in southern Colorado. Hold onto your hat and have your camera charged...We welcome everyone to come and enjoy the spring and summer season with us in southern Colorado. Pikes Peak Country Attractions Association, with more than two dozen natural and man-made attractions that are family oriented, safe and memorable vacation experiences, is rolling out new adventures alongside tried and true favorites in 2011. Pikes Peak Country is defined as the region around Pikes Peak, America's Mountain, in southern Colorado. 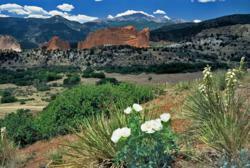 At its base are Manitou Springs and Colorado Springs. Cripple Creek and Victor, famous gold camps of the 1800s, are west of Colorado Springs. Canon City, Royal Gorge and the Arkansas River are southwest of Colorado Springs. "Hold onto your hat and have your camera charged," says Michele Carvell, Executive Director of Pikes Peak Country Attractions. "This year we're rolling out a new way to experience Pikes Peak, a new thrill attraction at the Cave of the Winds, new restaurants, visitor facilities and seasonal promotions. We welcome everyone to come and enjoy the spring and summer season with us in southern Colorado." Visitors to the Pikes Peak region often stay in historic Manitou Springs or Colorado Springs as a base camp for exploration, and make day trips to the museums, natural wonders, historic towns, railways, shows, mountain summits and more in this scenic and diverse part of the state. The Pikes Peak Highway has been accessible to drivers since the 1800s; hikers have used the famous Barr Trail for decades. Now biking presents an entirely new way to visit the mountain. An adventure travel company based in Colorado Springs, Challenge Unlimited offers people of all bicycling skill levels the opportunity to experience one of the highest organized bike rides in the world. 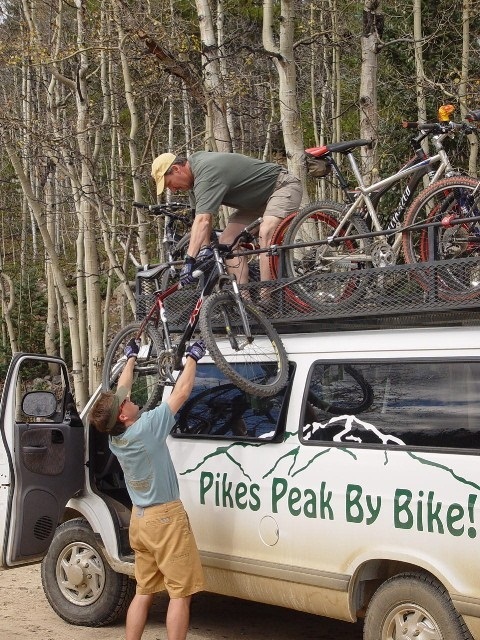 Guests gear up at the base of Pikes Peak with rental bikes, safety and weather gear, then ride the Pikes Peak Cog Railway to the summit of this Colorado 14er (a 14er is one of 53 Colorado peaks that exceed 14,000 feet in elevation). Guests can take in the views from the top -- with amazing 360 degree panoramas -- before climbing onto sturdy new mountain bikes for the descent back to the base of the peak. The Challenge Unlimited Crew accompanies guests for the entirety of this safe, scenic and informative ride back to Manitou Springs. The spectacular Royal Gorge, about an hour and fifteen minutes southwest of Colorado Springs, is millions of years old. The Royal Gorge Bridge Visitor Center, however, is brand new. Welcoming guests to the Canon City region beginning in spring 2011, the Royal Gorge Bridge Visitor Center is located on U.S. Highway 50 and open daily from April 30-October 16. The 4,000 square foot facility will showcase visitor attractions, activities and accommodations in the area. Located about three miles from its parent attraction, the Royal Gorge Bridge and Park, the new visitor center will pre-sell tickets to the park and offer guests an inviting place to stop, eat and shop. The Country Café serves up barbecue, gourmet ice cream, breakfast, appetizers and sandwiches. The Gift Shop offers unique mementos, crafts and keepsakes. May and June bring specials and promotions to visitors to the Royal Gorge Bridge and Park, where all mothers are granted a free day pass on Mother’s Day, and dads get complimentary admission on Father’s Day. The day pass awarded to moms and dads on their special holiday is a $25 value and includes a majority of the attractions and activities at the park. May is also Military Month at Royal Gorge Bridge and Park, when the park extends a half price day pass or half price annual passport to all active and retired military personnel. 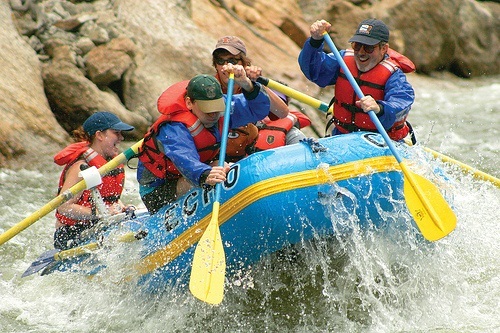 Nearby, Echo Canyon River Expeditions, a longstanding Colorado river outfitter with specialized adventures on the Arkansas River, unveils a host of new facilities and trips in 2011. Memorial weekend marks the grand opening of their newly constructed facility, the 8 Mile Bar & Grill. The new 3,000 square foot restaurant will serve breakfast, lunch and dinner to hungry rafters either before or after their adventures. The Echo Canyon Campground, recently acquired by the company, has spots for tent and RV campers and affords a magnificent view of the Royal Gorge Bridge. For the time-pressured adventurer seeking an authentic Colorado camp-out without roughing it, Echo Canyon introduces the new Overnight Express raft trip. It features a half-day afternoon raft trip, fully catered camping meal, tents, equipment and guides who provide all the muscle and hospitality for a comfortable camping excursion. The next morning, campers head out after breakfast for the second half of the river trip that ends around noon. There are options for a high adventure whitewater trip or a more serene float on the Bighorn section of the Arkansas River for the Overnight Express. The Wind Walker Challenge Course, a cross between a zipline, a jungle gym, a maze and a ropes course, is opening in spring 2011 at the Cave of the Winds in historic Manitou Springs. The new attraction is suitable for people of all ages and varying skill levels, and lets visitors experience the thrill and adrenaline rush of ascending into the structure -- and then stepping out into what feels like thin air. Wearing a special safety harness, visitors cross swinging bridges, cargo nets, tightropes and more. 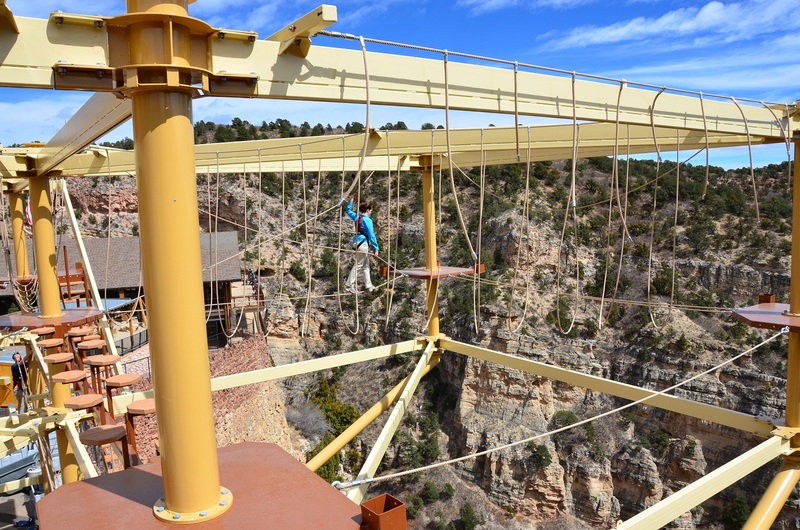 The course difficulty is progressively more challenging with each feat and the structure consists of three levels: one is 15 feet, the second is 40 feet above the ground, and the third level juts away from the main structure and extends over the canyon rim, more than 600 feet above Williams Canyon. 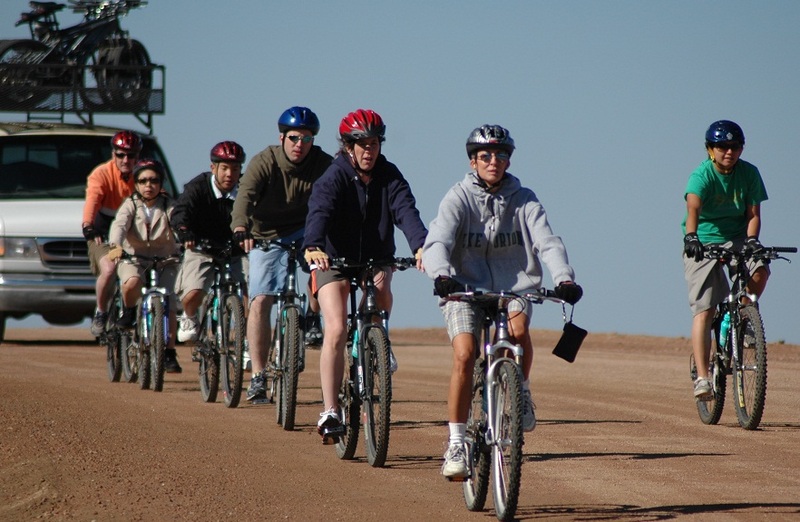 The Pikes Peak Country Attractions Association gives guests incentive to enjoy all the new things to do in southern Colorado, as well as old favorites, with its Pikes Peak Plus Pass. The pass is recognized as a convenient “one stop shop” for discounted online tickets. There are three variations of the passes: the Wet Pass (includes whitewater rafting), the Dry Pass (no rafting), and the ‘a la carte’ Pikes Peak Pick-N-Choose Pass. The passes offer significant discounts and time savings for individuals planning vacations to the Pikes Peak region. To find out more about all the new and longstanding attractions in the Pikes Peak Country Attractions Association membership, go to http://www.Pikes-Peak.com. Since 1974, the Pikes Peak Country Attractions Association (PPCAA) has been promoting the Pikes Peak region, comprised of Colorado Springs, Manitou Springs, Cripple Creek and Canon City, to millions of destination visitors. The 26 members of Pikes Peak Country Attractions Association offer natural and man-made attractions that are family oriented, safe and that add to quality of the guest vacation experience. High resolution photos and links to our member attractions may be found at http://www.Pikes-Peak.com. The PPCAA office is open 9:00 AM to 5:00 PM Monday through Friday. Cog up, and bike down. The 14,115 summit of Pikes Peak is the destination by train, with a guided mountain bike trip back to the Manitou Springs base with Challenge Unlimited. Cyclists begin the guided descent down Pikes Peak. Guides provide bikes, weather and safety gear, and information on the four life zones on the descent from the summit of Pikes Peak. 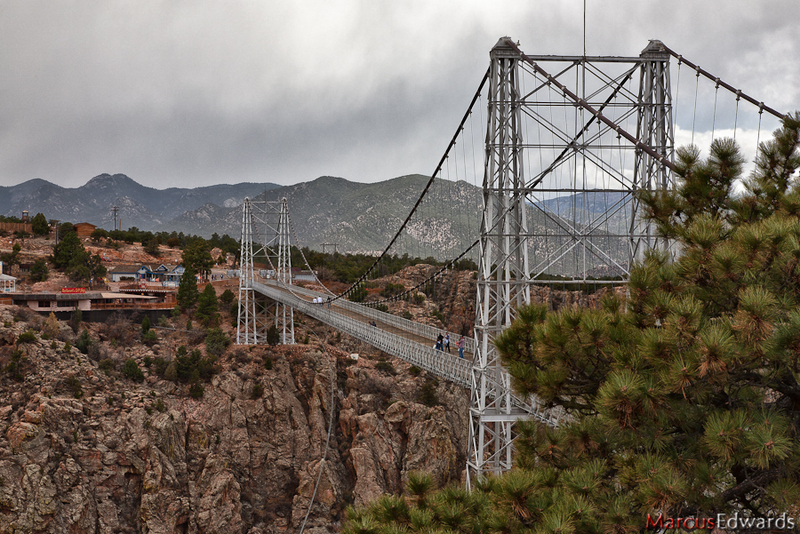 Royal Gorge Bridge and Park has one of the highest suspension bridges in the world, and a new Visitor Information Center three miles from its entrance. The new Overnight Express is a catered rafting and camping excursion with Echo Canyon River Expeditions. The new 8 Mile Bar & Grill at Echo Canyon headquarters will open in May. 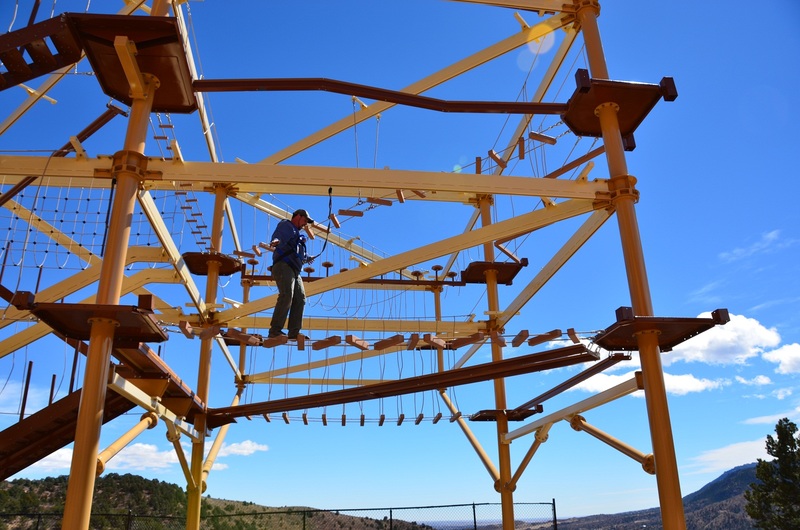 The Wind Walker Challenge Course at the Cave of the Winds provides a safe but adrenaline-charging thrill course above spectacular Williams Canyon. The Wind Walker Challenge Course has 15-foot, 40-foot and 600-foot elevations for participants to try, to customize the adventure based on individual thrill threshold.